Hammered dulcimer, ukulele, banjo, accordion, mandolin and harmonica are some of the instruments you will hear when listening to the music of Peter Kruse. Artists such as Jack Johnson and Iron and Wine might come to mind when listening to Peter's honest and organic sound. Peter Kruse has been blessed with a rich musical experience in Chicago based bands "Rufus Tree" and "A Gain of Ten". During Peter's time in Rufus Tree, he had the honor of performing oversees for U.S. troops and opening for many artists such as Life House, Sonic Flood, Blind Melon and the Normals. Also, Grammy nominated guitarist Phil Keaggy performed on two songs from the band's "Dying to Live" album. Dove Award winner Mitch McVicker also sang on two tracks from that album. Peter had the privilege of headlining a show at the legendary Metro venue in Chicago with his previous band "A Gain of Ten". Around that time, they were asked to record a song for a CD honoring the late Deep-Purple guitarist, Tommy Bolin. This CD was reviewed positively by many publications including Yahoo Music and Classic Rock Review. In China, Peter opened for the best selling artist in Chinese history, 费翔 as well as 费玉清. Peter was also recently featured on 102.3 FM, a popular Chicago radio station. 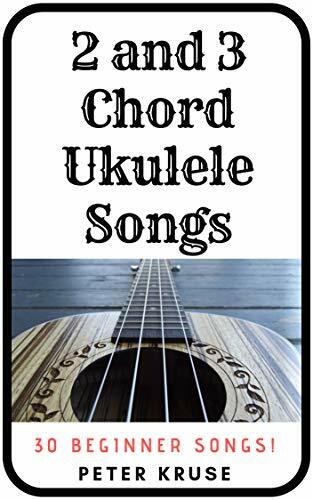 2018 - Published first book, "2 and 3 Chord Ukulele Songs!" Performed live with James Tan on 102.3 FM for a benefit concert. Peter Kruse and Michael Aukofer's original song "Shoreline" was featured in "Dulcimer Player News" magazine's February issue. 2017 - Finished 5th studio album "Ocean View." Made music video for Ocean View, filmed in China. 2016 - Finished 4th studio album "Breath of Life." Engineered and co-wrote songs for bands "Spraycan Picaso" and "Penitent Thieves." 2015 - Co-wrote 2 songs with top Ghana Gospel artist Bro Philemon. In China, opened for the best selling artist in Chinese history, 费翔 as well as 费玉清 (link). Released three music videos. Featured in Shenzhen's biggest English newspaper, Shenzhen Daily (Link). 2014 - Released 3rd solo album, "Sundown". This album featured a hammered dulcimer co-write "Shoreline" with award-winning songwriter Michael Aukofer. Produced and engineered songs for upcoming artists Zach Olson and Carly Fraser. 2013 - Performed Christmas concerts with Leonard Ahlstrom from Grammy nominated band New Song. 2011 - Headlined at the legendary Metro venue in Chicago with A Gain of Ten. Performed acoustic and bass guitar on a Gain of Ten's album, "To You." 2010 - Performed on one song of the album "Mister Bolin's Late Night Revival." This album received recognition from many publications including Yahoo Music (Link). 2009 - Released 2nd solo album, "A time and a Place". 2007 - Earned Bachelor's Degree in music from Judson University. 2006 - Released first solo album, "Not that Far". With band Rufus Tree, opened for Grammy-nominated bands Blind Melon and Lifehouse. 2005 - Performed Christmas concert for US Navy in Japan for 2nd time. Wrote and recorded songs for Rufus Tree's 2nd album, "Dying to Live". This album featured Grammy-nominated guitarist Phil Keaggy and Dove Award winner Mitch McVicker. 2004 - Invited by the US Navy to perform for troops in Japan with band Rufus Tree. 2003 - Opened for popular Christian artists Sonic Flood, the Normals, Satellite Soul and Derek Webb from Caedmons Call. 2002 - Rufus Tree featured in Chicago's Daily Herald (Link). 2001 - Wrote and recorded songs for Rufus Tree's first album (self titled). This album featured Alathea, Michael Aukofer and Sixpence None the Richer / DC Talk's engineer Russ Long. 1999 - Earned "Louis Armstrong Award for Musical Excellence" in High school Jazz Band. 1996 - Met the late-great Christian artist Rich Mullins and became inspired to begin learning the hammered dulcimer. Growing up, my family would have "devotions", which was a time set aside to read the Bible and sing some hymns. My dad would always play guitar, and sometimes, I would try to strum along, though I didn't know any chords. When I was thirteen, my oldest brother David came home one night with an ugly hot pink electric guitar that somebody was trying to get rid of. Fortunately for me, the guitar was so ugly that he also eventually wanted to get rid of it. A good friend of mine happened to have some drum sticks and some tin cans, and we immediately started writing "music" together. Around that same time, my brother Caleb encouraged me to audition for bass guitar in high school jazz band. I was excited to make the band, and this began a long tradition of Caleb and I performing music together. After four years of being in jazz band, I earned a Louis Armstrong Jazz Award for “musical excellence”. This helped encourage me to continue to pursue music, so after high school I studied music at Judson University in my home town of Elgin, receiving a bachelor’s degree with a focus on Music Performance in 2007. During this time I completed my internship under award-winning composer and respected producer Michael Aukofer. I have had the privilege of co-writing some songs with Michael, most notably "Shoreline (cello version)"